In this course, you will be introduced to each of the letters of the Hebrew language and the Hebrew vowel system. 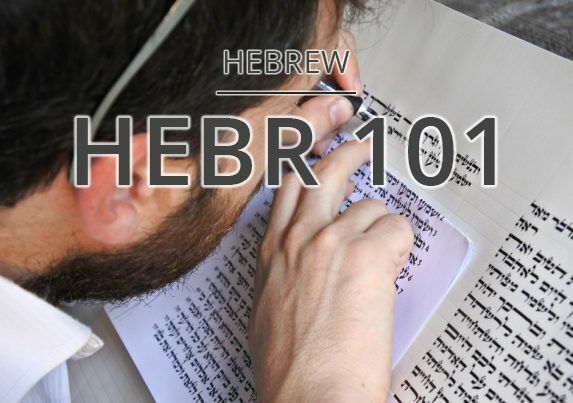 By the end of this course, if you do your homework, you will be able to read Hebrew letters and vowels in combination and you will have acquired a modest Hebrew vocabulary. Note to Students: The links below are only live for registered students. To view them, register for this course. Sharon Niv made aliyah from Germany when she was ten years old. She worked at Yad Vashem for eight years where she trained teachers from around the world in Holocaust Instruction to incorporate into their school curriculum. She holds a degree in politics and history. Sharon currently lives in Modi’in in Central Israel where she practices as a post-partum doula. She enjoys sharing the birth experience with every new mother and father that she works with. As an immigrant herself, Sharon loves to be involved with immigrants to Israel and seeks opportunities to help them acculturate into Israeli society. Her work at teaching Hebrew to beginners gives her great pleasure and satisfaction. Purchase any 3 Audit courses for $99.99! Purchase any 3 Certificate courses for $249.99!